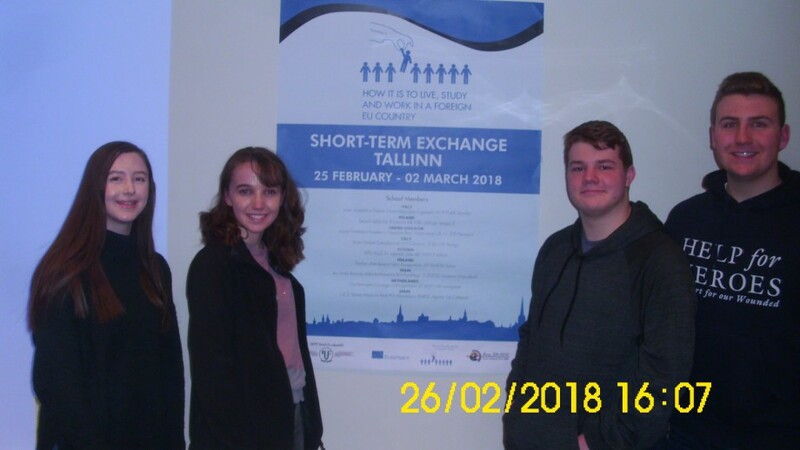 Erasmus KA2 project How to live, work, study in another EU country Estonian short-term exchange 25th Feb-2nd March 2018. 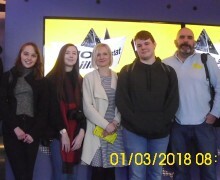 Arriving at Stansted airport at 4.45 on Sunday morning the party of 4 students and 3 teachers including head teacher Gordon Farquhar approached the long journey to Estonia with the knowledge that the weather that was about to welcome them on their arrival in Estonia was on its way to the UK. Touching down at Tallinn airport 11.45, the party from the academy were greeted by their hosts who then took them to their homes for the week in the bitterness of an Estonian winter at -13c. 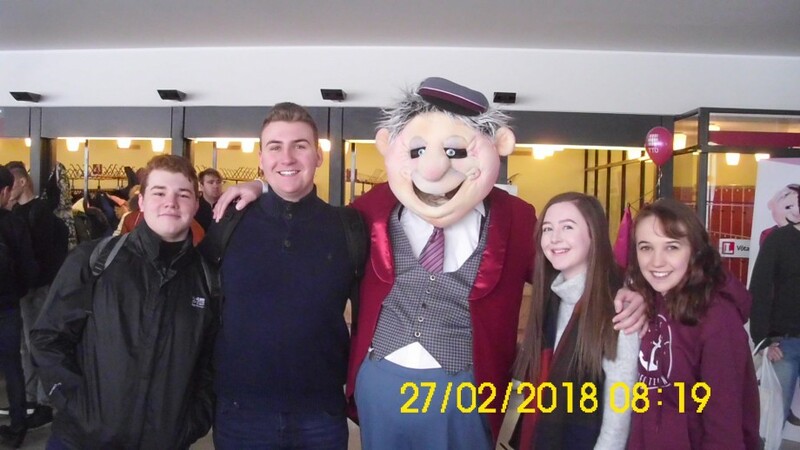 Later that day students and teachers were shown around Tallinn which is split into 8 districts and combines the old with the new in a city that is rapidly growing. 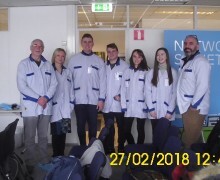 Throughout the day participants from 7 other European countries also arrived in Tallinn looking forward to the programme prepared by the school in Estonia. 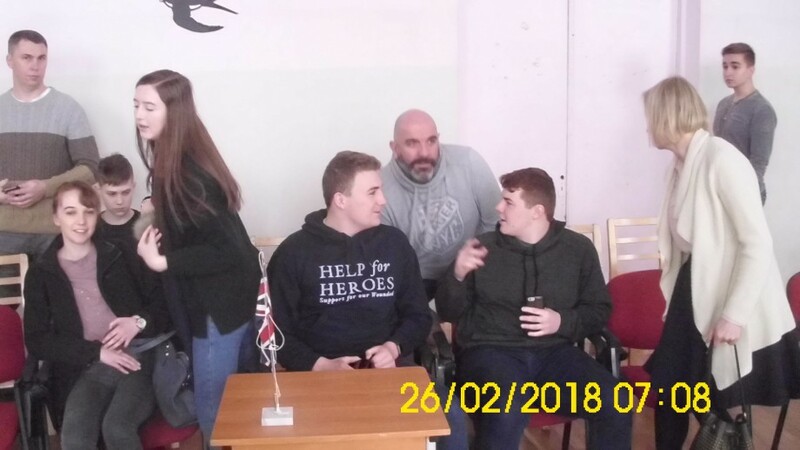 With a fresh fall of snow during the night all participants headed for the school on Monday morning where they were welcomed by the headteacher Alevtina Kornilova. 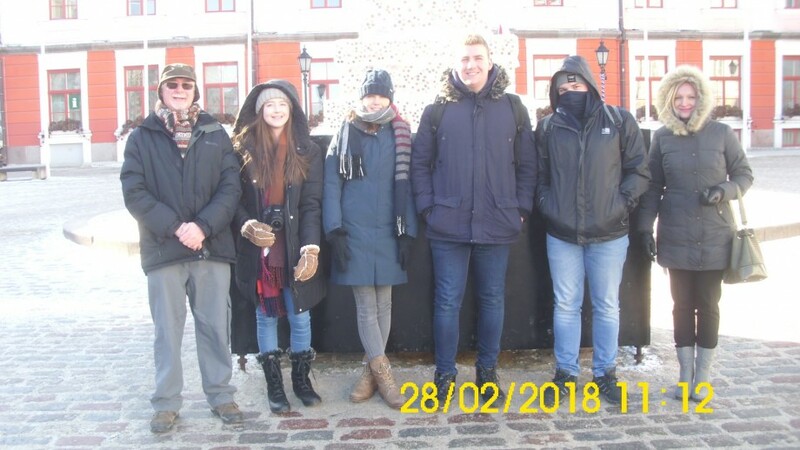 She introduced other members of her staff as well as her students to us and told us the school at present was on holiday for the week in recognition of the 100th anniversary of Estonia as a Republic. 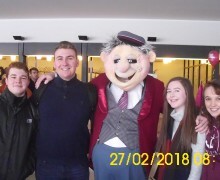 Nevertheless, students read out poetry including renditions of Rabbie Burns which certainly touched Mr Farquhar who commented “I have never heard Burns poems read outside the UK”. Finally, Raimond Kaljulaid, mayor of Estonia and brother of the country’s president welcomed us to Estonia. 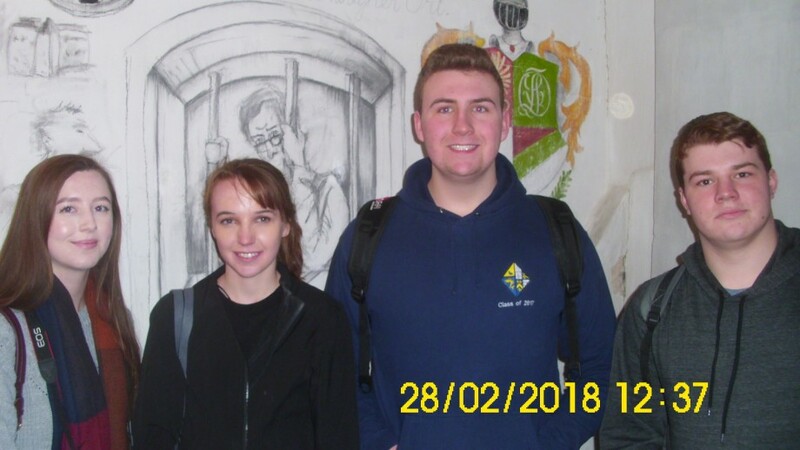 We then set off for Tallinn University and were shown around the institution which is the 3rd largest university in Estonia renowned for its teacher training programmes and media studies. The university has 7,500 students of which 9.5% come from abroad and it offers 34 English based degree programmes. 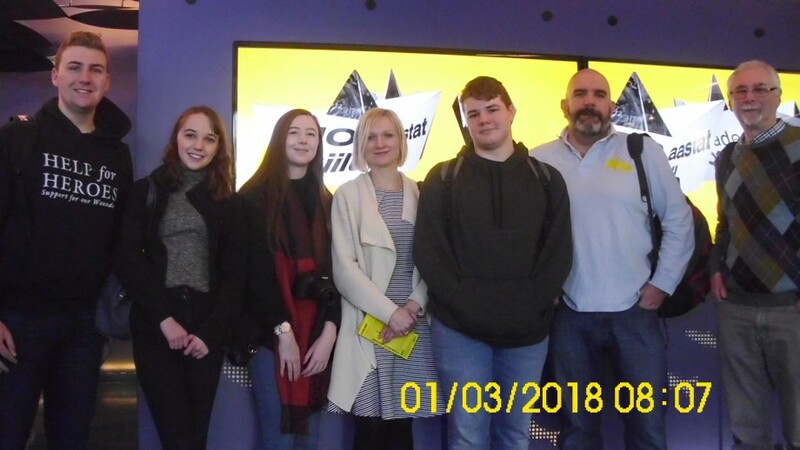 Following lunch, students listened to three lectures given by members of the university on the economy of Estonia, energy usage in Estonia and the future of electric vehicle usage which proved interesting. The final engagement for the day was a visit to the National Library of Estonia where all the national archives are kept. 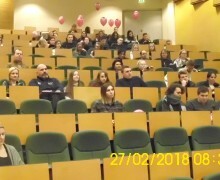 On Tuesday we visited the Tallinn University of Technology watching the snow fall as we arrived. Again, we walked around the university before setting off by foot to the TUT Innovation Centre where we learned the university had developed a satellite which will be sent in to space next year gathering information about energy consumption in Estonia. 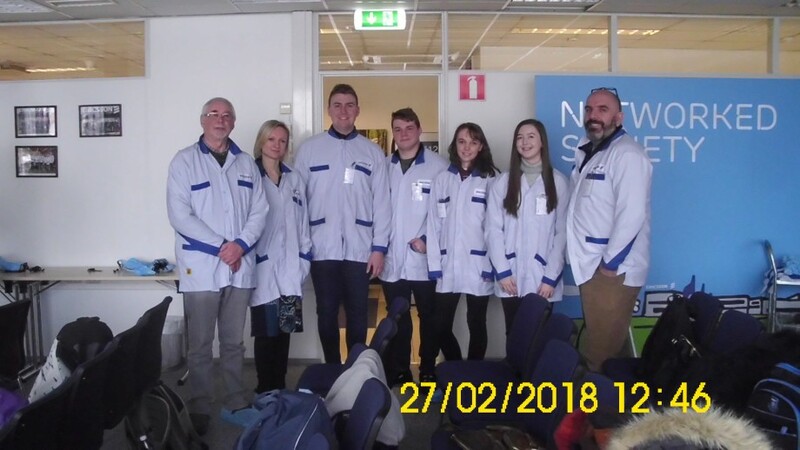 In the afternoon we arrived at the enterprise Ericsson where we were shown around the factory by guides and learned about the telecommunications giant and its operations in Estonia. In the evening there was a visit to the Theatre of Opera and Ballet to watch the ballet Scheherazade performed by the Latvian National Ballet Company which certainly added a real cultural dimension to the visit. The next morning started bright and early at 7.30 as all participants travelled south to Tartu 175km from Tallinn. With no snow forecast the long 3-hour journey on well cleared roads revealed large open spaces of a frozen but flat Estonian countryside. 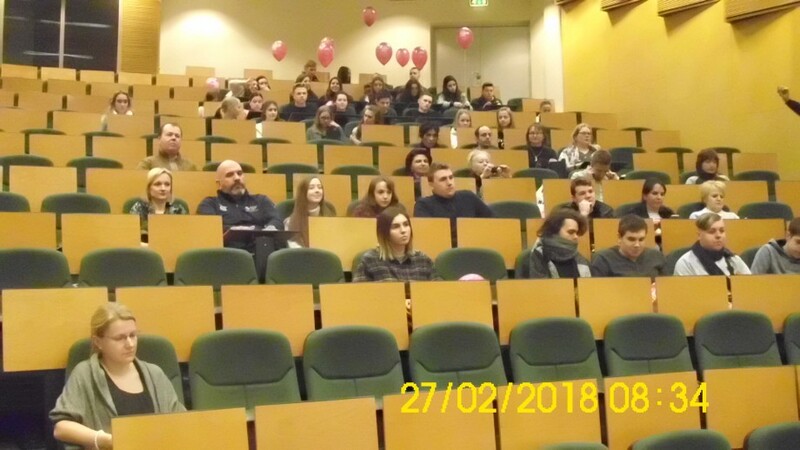 As temperatures plummeted to -20c entering the well heated University of Tartu after a walk from the coach was a welcome relief but this was short lived as we were told we had to go to another part of the University for a lecture. Venturing into the cold once again and then ascending a steep hill proved for some a difficult journey, but once in the warmth of the lecture hall participants took part enthusiastically in a seminar that looked at the 4th industrial revolution the world is today going through as technology in the form of robotics leads the way. However, everyone in the lecture hall was asked to reflect upon this change and how it affects equality, security, ethics and identity, employment, sustainability as well as the skills needed today to compete in world labour markets. Certainly, everyone was given food for thought here. Our next visit took in the Estonian National Museum where we endured a guided tour through Estonian life. Here we learned how Estonians lived in the Stone Age and saw the development and the meaning of the coloration of the clothing the population wore. Furthermore, stories from Estonian folk lore were related to us. Moreover, the story of Estonia though really comes to life with its revolution in 1918 followed by the Soviet occupation from 1940 -1991 which saw the ‘Singing Revolution’ between 1987-1991 and finally independence. 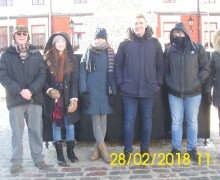 On Thursday we went to the Estonian Maritime Museum where we were guided around the exhibits and learned about the part the sea has played in Estonian life. Perhaps the highlight of the tour was going into the only surviving submarine the Estonian navy now has (it only had two) which were commandeered by the Soviet fleet following its occupation. This submarine had a crew of 35 and we were amazed as to how small it was. Anyone suffering from claustrophobia should not take up a position here. Unfortunately, our tour was cut short as we had to go to the Estonian Parliament for a short visit. Following security checks, we entered an empty building as the parliament was not sitting due to the national holiday. However, we did learn about the voting system used in the country during elections and that parliament consists of 101 members who appoint a Prime Minister and President. 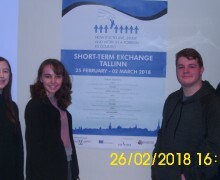 Joining up with the other participants we then visited the Tallinn Sea Port which is the biggest port authority on the shores of the Baltic, handling 10m passengers a year including those from the US, Japan and the UK as well as 20m tons of cargo. 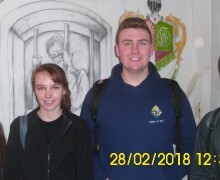 On the final day participants visited the Church of Alexander Nevsky and then had a bus excursion around Tallinn wrapping up an intensive week in which we did live, study and find out about work in another EU country.